A ski mountaineering course designed for experienced skiers/riders who dream of the more formidable lines of the Wasatch and beyond! The Wasatch is one of the best training grounds in the world for serious ski mountaineering objectives. 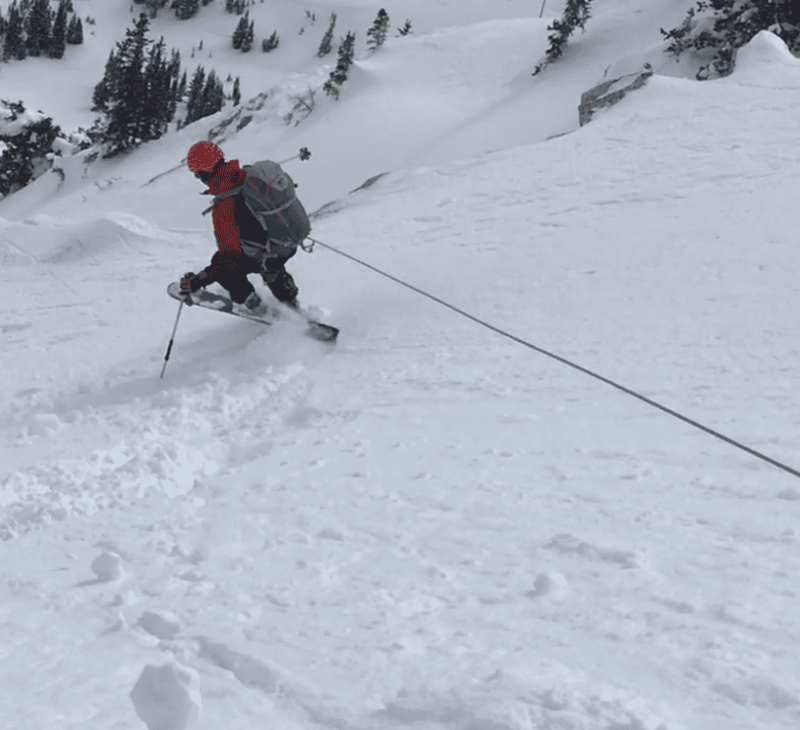 We’ve designed this course to give intermediate backcountry skiers the chance to progress to the next level and learn the technical skills they need to attempt high consequence ski mountaineering descents. If you ski blues and blacks at your local resort, or frequently ski in the backcountry, if you think you’re ready for steeper and more technical terrain, this course is for you! Day 1: You’ll learn about avalanche mitigation strategies for high consequence terrain, work on steep skiing techniques, practice fundamental technical skills (knots, hitches, devices, etc), and learn about group management in difficult terrain. The accessibility and high concentration of steep terrain found close to the road in Little Cottonwood Canyon make this a perfect venue for this day. Day 2: We will focus on the repetition of fundamental ski mountaineering skills- anchoring, belaying a skier, managing steep entrances, rappelling, etc. Exact location TBD. Day 3: The goal is for students to apply their new skills to some of the most complex lines in the Wasatch. We will set out sites on some of the more challenging, highly technical objectives where rope work and snowpack assessment will be critical. Exact location TBD. Course topics include: Gear selection, knots, introduction to technical rope work, belaying a skier, rappelling, use of an ice axe, crampons, steep skiing technique, partner communication, terrain assessment and hazard evaluation. 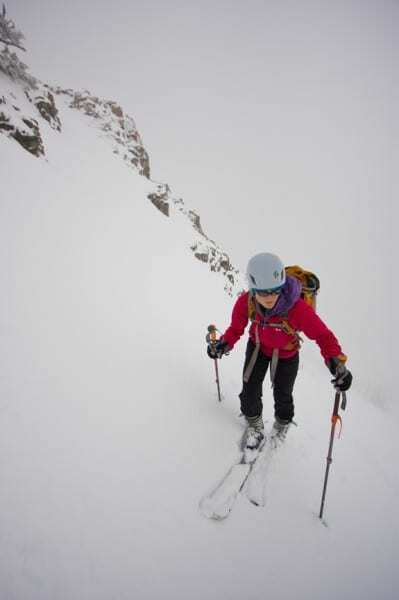 All ski mountaineering courses will be taught by AMGA Certified Ski Mountaineering Guides. Be comfortable (comfortable = rarely falling and skiing in control in any conditions) skiing blue terrain and harder in western ski areas. Have the ability to skin up a minimum of 4,000 feet in a day. Be familiar with touring equipment. Groups of 3 can book any available dates and the course will be customized for your group. This option is also open to groups of 2 at a higher cost. The course can also be run in 2 days. Please contact us to discuss options. Transportation is not included. Participants must arrange transportation to and from the trailheads. Please call the SIET office if you have questions or to sign up.